Anyway today's blog is stimulated by reading in The Garden magazine about how to prune Wiegela. Yes - note the spelling! 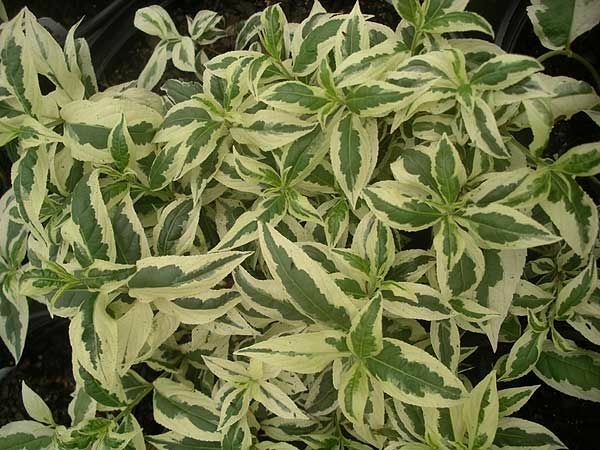 Now this colourful and easy shrub has had its fair share of identity crises over the years. I grew up calling it Weigelia. 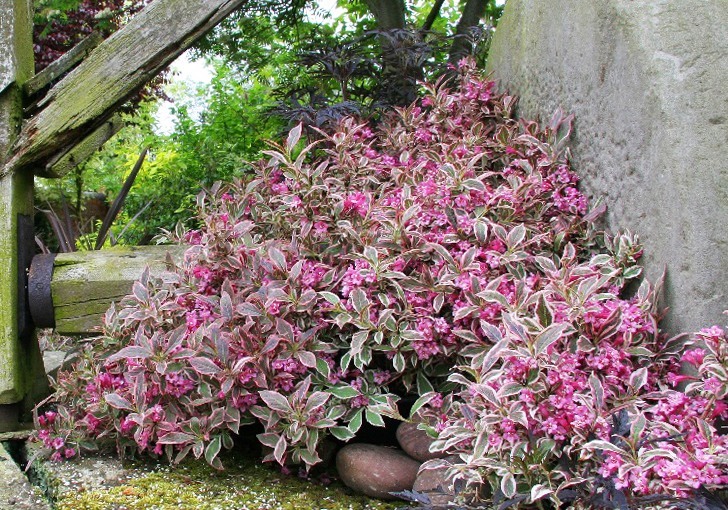 At some stage the second 'i' was dropped and it became Weigela. For a short while they were reclassified as Diervillea but most returned to Weigela. Now I see this spelling, Wiegela, from the RHS no less, although the Plant Finder, normally regarded as THE easy source of all nomenclature still calls it Weigela. Now I wonder has it changed again or is this a keyboard woopsie from the fingers of the RHS? This set me thinking about other changes over the years. Buddleja used of course to be Buddleia, Solenostemon were nice friendly Coleus and Aloysia citriodora was better known as Lippia citriodora. The berried Pernettya has now been dumped in with Gaultheria. Cytisus battandierii has now become Argyrocytisus battandierii and that old stand-by Senecio greyii, which became Senecio 'Sunshine' must now be called Brachyglottis 'Sunshine'. The beautiful blue flowered member of the nightshade family is currently Iochroma australe but since I have known it, it has also been Acnistus and Dunalia. 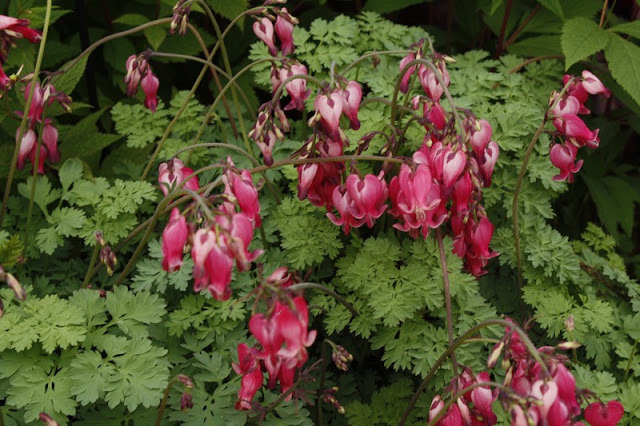 Oh and by the way, the typical bleeding heart, that we know so well as Dicentra spectabilis has become Lamprocapnos spectabilis - simple isn't it! Such name changes inevitably cause confusion and when common or garden chrysanthemums were reclassified and Dendranthemum some years back, there was a revolt and they have reverted to being correctly named Chrysanthemum indicum on the basis of horticultural precedent. 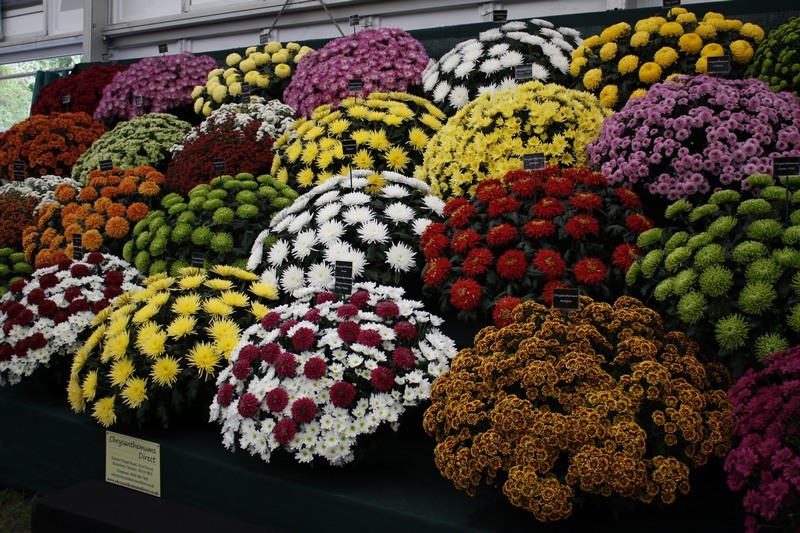 Can you imagine going into a florists and asking for some dendranthemums? I could go on - the plant world is littered with confusing name changes all in the cause of correctness and clarity! If plants had feelings, I think some of them would have identity crises and in particular Ilex 'Golden King' which is a female plant, complete with berries and we'll make no comments about 'Silver Queen' that's a male holly! You got to love finicky botanists who love to rename and reclassify plants at the drop of a hat. Just as when you get used to a certain spelling or name they change it again! And some folks who have a passion for a specific plants/s resent it when some rogue Botanist renames one of their precious children. I remember how I felt when our San Diego County native Cuyamaca Cypress which we thought unique and edemic only to Cuyamaca State Park on the South Ridge was always listed as Cupressus stephensonii only to be relisted as Cupressus arizonica subsp. stephensonii. Darn those obscure not so well knwon botanists who are only out there trying to simply make a name for themselves. Go pick on someone else's plant. On another not I love the Palm Springs area, well Coachaella Valley, also for the great variety and creativity of designers trying to out do and out compete with each other with far more incredible designs than their competitors. Their hard competitive work gives me great ideas too. When folks ask me what should I plant in my area, I tell them to do something reacreationally different for a change and take a Sunday drive around the local neighbourhoods and see what's been working for their neighbours. Thanks Ian, I've bookmarked your page. Kevin - thanks for your comments. Looking over other people's garden walls is always great for ideas - one of the reasons why I so enjoy my running - gets me close to lots of local gardens! Since common and botanical names are less stable than ever, we might as well revert to "that plant with the blue flowers"!! The slight spelling changes on your W-------- must be funny, too. I quite liked the sorting out of Dicentra, if only i could remeber the new names. It had always seemed a bit 'wide' for one genus. Your picture though is still a hybrid Dicentra ['King of Hearts'? 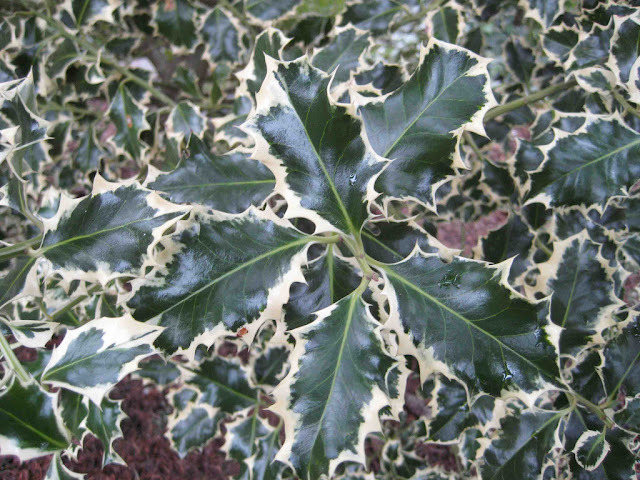 ], Lamprocapnos has much plainer leaves. Get ready for Iochroma australe to change again. No-one has suggested the formal name change yet, but it has been shown on DNA to belong in Eriolarynx!